We are offering superior quality Centrifugal Monoblock Pumps to our esteemed customers. 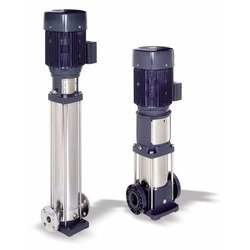 These pumps come with dynamically balanced rotating parts that ensure minimum vibrations during the operation. Offered pumps are appreciated for their noise-free operation, sturdy construction and easy functioning. Our pumps are applicable in irrigation, industrial water supply and domestic buildings and hotels. We are instrumental in supplying the wide assortment of Open Well Submersible Pumps to our valuable clients. These pumps are made of best quality stainless steel and sourced from reliable business associates. Offered pumps are highly appreciated for their noise-free operation, high suction capacity and spare availability. Offered range is applicable for slurry pumping, drainage, sewage pumping and general industrial pumping purposes. Our organisation is regarded amongst the leading suppliers and distributors of high-quality Two Stage Monoblock Pumps. Further, as per their requirement, our clients can avail these pumps from us in various models and other specifications. Offered range is appreciated for its durability, easy maintenance and spare availability. Further, we assure time stipulated delivery of these products. Back to a back mounting of impellers results in zero axial thrust and hence longer bearing life. Class of insulation 'b' ('f' class for 9. 3 kW and 11. 0 kW rating). 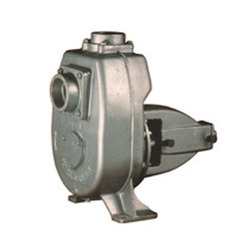 We offer best collection of Self Priming Pumps at market leading price. We procure these pumps from trusted business associates. Offered pumps are appreciated for their durability, seamless finishing, low maintenance and high degree interchangeability. 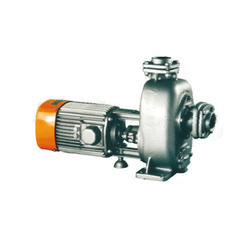 These pumps are commonly used in the sewage treatment plants, food, chemical, alcohol and textile industries. Efficiency at par with internationally available pumps. Quick automatic self-priming action. Designed for automatic air release during priming. Non-clogging impeller to handle suspended solids. Repairs possible without disturbing the pipe connection due to back pull out design (except sp'0'). Portable, when fitted on trolley/trailer. Suitable for engine / motor. No need for foot value. Long life - due to replaceable wearing parts. Owing to the rich experience in this domain, we have been able to offer Vertical Line Pumps to our customers. 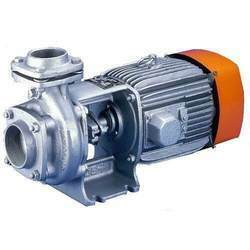 These pumps are sourced from reliable vendors, who are known for providing high-quality pumps to their customers. The offered products are used in various industries for providing clear water supply at high pressure. We deliver these products in promised time with the help of our vast distribution network. We are one of the leading suppliers, traders and exporters of Self Priming Dewatering Pumps. 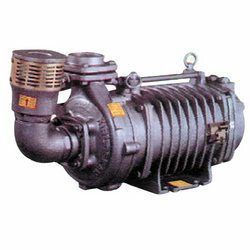 These pumps are widely used for marine-pumping water, which is pumped from docks, ports, and vessels. The offered pumps have back pulled out design that ensures repairing of these pumps without distributing the pipe connections. 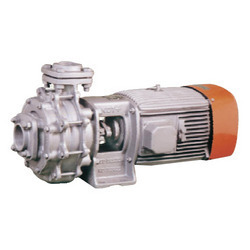 In addition to this, these pumps have long service life due to replaceable parts. Looking for Kirlsokar Pumps ?